V40 is a solo exhibition by one of Thailand’s most internationally acclaimed activist-artist Vasan Sitthiket. V40 represents the artist’s meaningful self-reflection on his illustrious career thus far. The exhibition looks back upon his controversial career; works that have brought and highlighted difficult realities to the Thai and international public, covering themes ranging from corruption, homelessness, farmer’s rights, nuclear power and sexual desire. 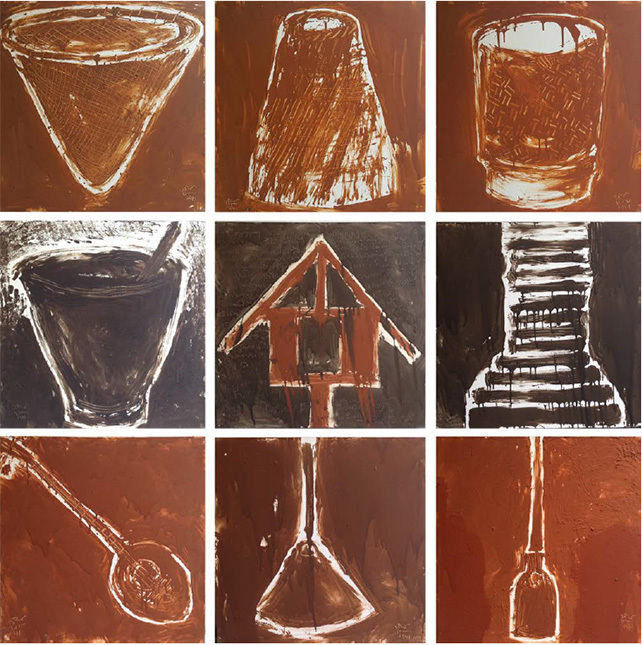 V40 is a rare collection of drawings, sculptures, prints, paintings and installations that Sitthiket has produced over his 40-year journey, including works that have never been exhibited before. 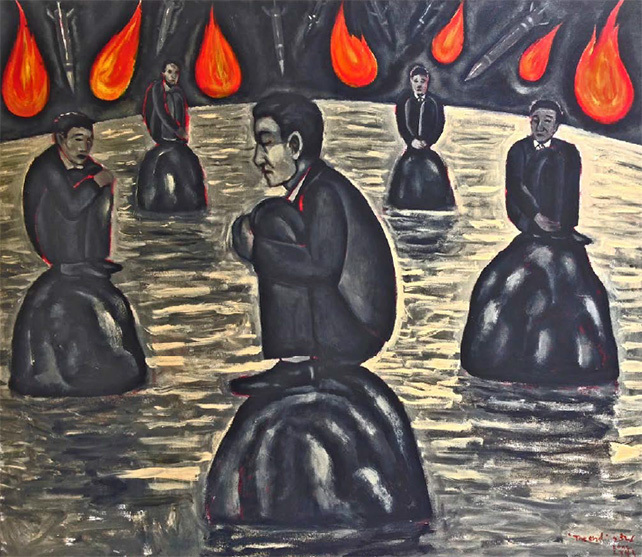 Sitthiket, born in Nakhon-Sawan province, Thailand in 1957, has developed a reputation as one of Thailand’s most controversial and socially vocal contemporary artists. Confrontational and unapologetic, the artist has put his practice at the service of social justice, tackling on the many socio-political problems plaguing Thailand and the international world. 1976, the beginning of Sitthiket’s career was a significant time for the artist as it was the year that he withdrew from his studies and went on a journey to the fields of Sanam Luang in front of the Grand Palace in Bangkok. There he spent his days observing and listening to the stories of people, from farmers to disgruntled students who shared with him their struggles in life. The experiences in Sanam Luang had an immense personal impact on Sitthiket, turning him towards issues in politics, power and leadership in Thai – and later international – society. His keen interest in these issues and history and its relevance in shaping contemporary society has come to the fore over the years since, as Sitthiket has used art as a peaceful weapon for political change and as a medium for voicing out for the disadvantaged to make a positive impact in society over the last four decades.